When I first read about Ali Edwards' "One Little Word", I was very intrigued by the concept. Quite a few words came to mind and while they all were meaningful to me, none of the felt quite right. One evening last week I was thinking about my goals for the New Year and scrapping them and this word summed up what I will focus on this year. Yup, that's the word ATTITUDE. I am working on a bible study entitled "Lord, Change My Attitude" and I am praying for a new attitude this year and working towards that as well. To have an attitude of gratitude, contentment and love. Put others before myself. 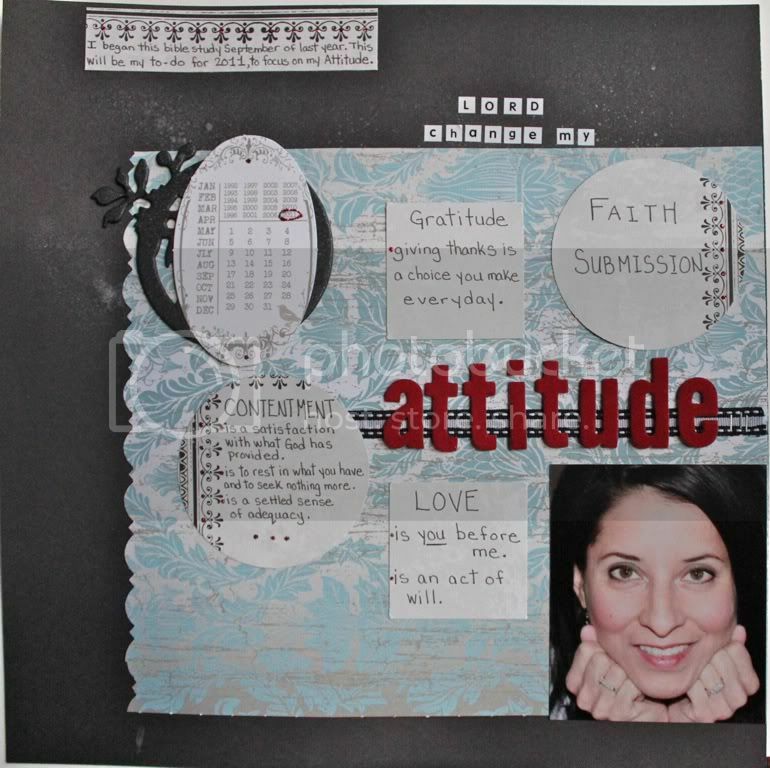 This layout will be in a frame hanging over my scrap desk so I will have a DAILY reminder of my 2011 goal.